2016 proved to be our best season so far in IMCA competition. Putting together our highest number of wins in one season so far, along with numerous top 5’s to go along with those wins. We are excited for 2017 racing to kick off so that we can begin racking up wins in IMCA, USRA, and UMP! Randy Brown wrapped up the California state IMCA championship as well as the Merced Speedway track championship. Rick Diaz picked up the IMCA Northern Sportmod track championship at Merced Speedway as well. Rick’s season of racing at Merced served as a successful tribute to a friend, John Fore, who passed away earlier in 2016. At PCD Race Cars, we are thankful to get to be a part of these teams’ success. Travis Peery racked up some late season wins as well after a tough start to the season. After teaming up with Chris Dickson of Dickson Racing Shocks, Travis began reeling off win after win against some of the best in North Dakota, a very tough region to compete in. BJ Wild finished out the season with 5 wins at his home track, and numerous top 5 finishes at a variety of highly competitive tracks in Oregon. Likewise, Mark Wauge and Monte Bischoff put together a respectable number of wins throughout the season as well, again at a variety of tough, highly competitive tracks in Oregon. Alex Stanford finished up a tough season with probably the fastest car he’s ever had, despite numerous bad breaks that caused a variety of setbacks. Despite the run of bad luck, Alex was extremely competitive in USRA and IMCA competition, and will pick back up with more USRA competition in January. We’re very excited to see how Alex comes out of the gates in 2017. 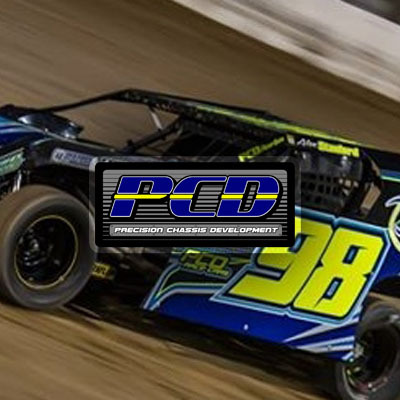 Moving forward into 2016, PCD Race Cars welcomes Travis Dickson on board. Travis comes from a family with a lengthy history in racing, and will be the first PCD driver competing in UMP and AMRA events. We are extremely excited to have Travis on-board, and look forward to making a splash in the UMP and AMRA world. In addition to adding Travis Dickson to the team, PCD Race Cars, we’ve now began our first real expansion at PCD Race Cars. We are currently in the construction phase of our new 10,000 square ft facility in Tontitown, AR which will allow us to setup better machinery, better production practices, and product quality that will be second to none. We will be offering our standard chassis that we’ve always offered, as well as 4130 Chromoly, and Docol R8 chassis with the option for tig welding for those who prefer it as well. 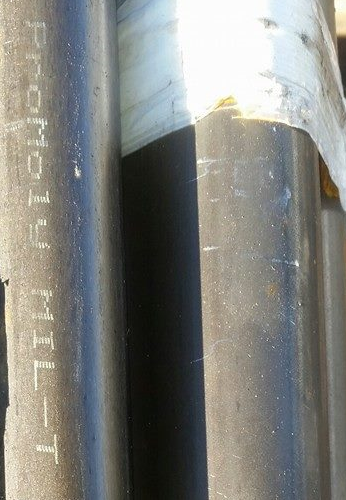 4130 Chromoly and Docol R8 tubing give us the ability to build chassis that are more consistent, lighter, stronger, and safer. The materials and the processes involved do add to the cost of the chassis, but the end product is absolutely awesome! If you’re looking for more information on Docol R8 or an all around picture of the quality of products that we use in these cars, you can visit http://www.AEDMotorsport.com to compare the pros and cons of each material. If you have any other questions please contact us and we’ll be glad to answer any questions you have. Some key suppliers we’ll be dealing with in 2017 are linked below. Please take a moment to visit their sites and let us know if there’s anything we can do for you if you need products from these suppliers. We hope that everyone has a Merry Christmas and a great New Years as well!